Lou Drofenik was born in Malta and lives in Victoria, Australia, with her family. Her great interest in Maltese identity and Maltese women's migration saw her completing a Masters degree and a PhD in this area. I met her in December 2005 here in Malta during a literary evening held by Iniziamed. She is author of three novels: Birds of Passage (2005), In Search of Carmen Caruana (2007) and Of Cloves and Bitter Almonds (2007). 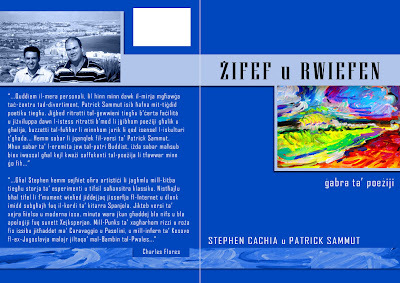 Hers is a perfect example of Maltese literature abroad. 1. Lou Drofenik emigrated to Australia years ago but hers is still a strong link with the Maltese islands. This can be seen in her three novels Birds of Passage, In search of Carmen Caruana, and her latest novel Of cloves and bitter almonds. From where comes this strong tie with the Maltese islands? I am Maltese through and through. I was born in Malta. I was educated there and my formative years were spent there. When I came here as a young woman my identity was Maltese, and no matter how many years I spend here I will always be Maltese. Though I have changed in my ways, deep down I carry within me whatever I brought with me from Malta – the language, the stories, the superstitions, the values, the memory of the landscape and of what we did and didn’t do. This tie does not diminish with time, on the contrary it increases and for me, who is able to look in as an outsider/insider, the culture and all that went with it has become clearer and I also feel that now I am better equipped to write about it. 2. Three important themes in your novels are emigration, the past and women. Can you elaborate re such aspects? First of all I come from a background of women’s studies where I researched and studied women’s issues especially migrant women’s issues and where I was involved with other people who were on the same track as myself. This I suppose put me on a path which was rich in migrant women’s stories and as you can imagine Australia being a nation of migrants there are innumerable stories from every place on earth. Though each of my novels deals with migration to Australia, with women’s experiences and with the past, the underlying themes in the three novels are totally different. 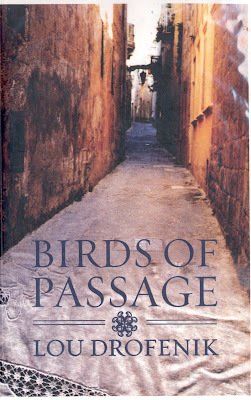 When I was writing Birds of Passage the way Maltese culture repressed women was always at the fore of my mind. Throughout the writing process the women’s voices in the book were very strong in my head and though I didn’t know what they were going to do, or what was going to happen to them, I knew what they were saying and what they wanted. 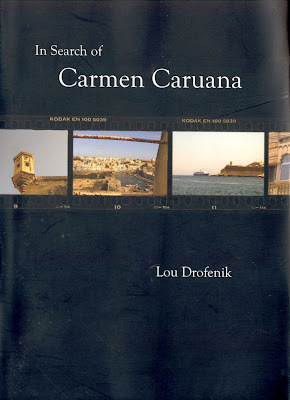 When I was writing In Search of Carmen Caruana the notion of silence and shame in Maltese culture was very strong in my head. I also didn’t know how the book would end or what would happen along the way, all I knew was that Carmen’s sufferings were inflicted by her father because he didn’t want the world to know what happened to his daughter. The events that happened along the way and the characters in the book all enterer into the story through that one thought. 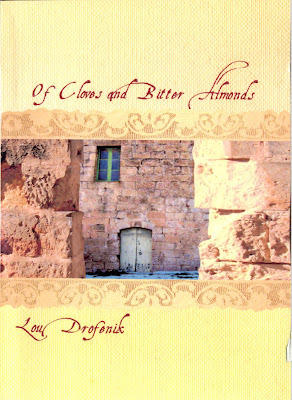 Now for my third novel Of Cloves and Bitter Almonds. Though this also deals with the migration story of a young married couple, Steven and Sylvia, it is a very different novel from the other two. When I was writing this book the Maltese landscape was in my head, the brown soil, the winding narrow streets and lanes where I grew up in Birkirkara, and the houses. One house especially where I used to play when I was little. It kept coming before me, never leaving me alone and I kept wondering what was the history of that piece of earth where the house once stood. What people lived in it, what did they experience during their lifetimes? The women’s voices in this book were also very strong and as I write in the novel, they were insistent on having their story told. So there you are three novels and three different aspects of Maltese/Australian life. 3. I've noted various similarities between the pen of Lou Drofenik and that of international women-writers such as Italian Dacia Maraini and Isabel Allende. How do you react to such a statement? Unfortunately I’m not familiar with Dacia Maraini’s work. I’m very familiar with Isabel Allende’s work and I love her writing. She writes from the heart and her characters come to life and are well remembered by the readers. I suppose it is very pleasing to hear one compared with such a wonderful writer. Perhaps rather than Isabel Allende I’d think my writing was influenced by Grazia Deledda, the Sardinian writer of last century. I’ve read and re-read her novels many times and I find her fluent and simple style of writing very much to my liking. Her themes too, are seemingly simple and down to earth yet when you start unfolding them, are deeply complex and full of human pathos. And of course all set in that tough Sardinian culture of her day which is reminiscent of Maltese culture of the past. 4. Is there a common factor which links your three novels? I am a story teller, I come from a family of story tellers. I love listening to stories. I love telling stories. I love writing stories and making them up. My characters wake me up at three in the morning so that when I start writing at six my first sentence is already there waiting to be jotted down. I think the many stories within my novels, stories which go here there and everywhere and manage to come together at the end (often surprising me) are the common factor in my work. 5. You write about the Odyssey thousands of Maltese had to face during the years of emigration. Yours are stories of separation, hardship, failures, humiliation, but also about love, mutual help, perseverance and optimism. Your reactions to all this? Life is a messy business, and we who are in the middle of it have to deal with it whether we stay in our own country or travel away from it. We fall in love, and we fall out again, we have moments of sublime happiness and months of misery, we are curious, vindictive, charitable, pessimistic, optimistic, you name it. We are burdened by our culture, by memory of things past, by fears of our future. Writing fiction is one way of exploring the way we live life wherever we happen to land. 6. The style you use in writing is very fluent, down to earth and simple. You write in English but use a number of words and phrases in original Maltese. How do your readers react to all this? First my readers are mainly Australian. Before Birds of Passage many of these readers knew Maltese people, lived next door to them, or worked with them, but didn’t have a clue that we had our own language and our own culture. Many didn’t have the faintest idea where Malta was. I did a quick check and one person told me it was near Portugal, another near Greece. I write in English because now after forty-four years in Australia I think in English and I dream in English and though I speak and write Maltese fluently I don’t think I’m able to use the Maltese language the way I’m able to use English in a long piece of writing. Yes I do use many Maltese words in my writing because that’s the way I feel during the writing process. It’s almost an automatic response to something within me. Hard to explain. My readers haven’t complained about the Maltese, on the contrary I’ve been told that it makes the characters authentic. Both men and women who have read my two previous novels said they couldn’t put them down until they finished them. And though I always felt women would like to read my novels I have received more emails and letters from men telling me how much my books have touched them.